"Plunge Into a Night of Unspeakable Terror!" 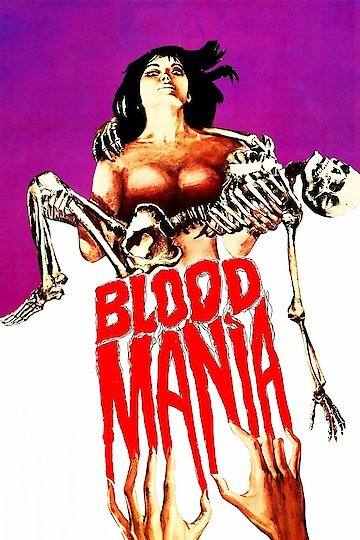 “Blood Mania,” made in 1970, is a gem for lovers of campy thrillers. Not so much a bloody horror film as a classic murder mystery, the film features Mana DeAragon as Victoria, a young woman determined to rid herself of her rich but unwelcome father so she can use his fortune to aid her physician lover. Alas, as the ending shows, the best-laid plans sometimes go awry. Blood Mania is currently available to watch and stream, download on demand at Amazon Prime online.